Our website Sunlightfoundation.org is a Professional Database that is used by over 100,000 users in the astrological/psychic world monthly to seek psychic or astrological advice. We make this possible by updating the information daily and keeping up to date on recent astrological news. We take pride in being one of the largest websites in the industry and take what our users and affiliates say into account to make this website much more user friendly. We recently ran a poll asking the users that are most familiar with the site what types of informational resources they use to keep up to date or even to simply find great information. Our users primarily are interested in blogs and websites Such as yours. I have reviewed your information and must say, I absolutely love the content you have made available to the public and would like to make your site a link on ours. I would like to offer you our Featured Resource badge that can be posted on your site, which recognizes you as a top resource in the psychic/astrology field or simply a text link within your site (Psychic Reading). I would also like to post your site in our resources page with a FULL banner to make your site available to my thousands of users. Thanks again for the great information and I look forward to the great responses your site will receive from my users! Please send me your Featured Resource badge, that you described in your email. It would be great to be recognized as a top resource in the psychic/astrology field, as you mention. 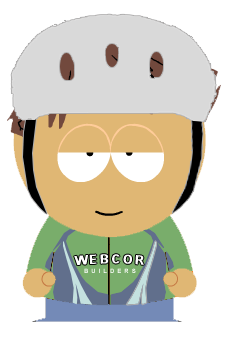 Several days have passed and yet I haven’t received my Featured Resource badge, as Ryan/Mark promised. I hope he hasn’t had second thoughts. Nah – I’m sure it’s on its way. I’ve written before about Provenance – how most scientific discoveries didn’t just appear fully formed, but were derived from earlier experimentation. As an example, I described how the discovery of radio waves by Heinrich Hertz was based on earlier discoveries of electricity and magnetism, made by Newton, Young, Huygens, Faraday, Maxwell and others. The fact that the discovery of radio waves was based on other discoveries, each backed by substantial amounts of evidence, meant that the discovery of radio waves was not such an extraordinary claim when it was first made. In a similar vein, nearly four years ago I issued The Astrology Challenge – I asked proponents of astrology to tell me how the rules of astrology were derived. As examples, I described how Galileo knew that the planets orbit the Sun and not the Earth, and how we first calculated the speed of light. As I wrote then, if no one can say how the rules of astrology were derived, in the same way we can describe how the speed of light was derived, then the rules of astrology were probably just made up. And any hypothesis that was just made up, is unlikely to be true. No one has yet been able to tell me (showing their work) how the rules of astrology were derived. … on the night of February 17, 1869, the Russian scientist Dmitri Mendeleyev went to bed frustrated by a puzzle he had been playing with for years; how the atomic weights of the chemical elements could be grouped in some meaningful way and one that, with any luck, would open a window onto the hidden structure of nature. He dreamed, as he later recalled, of "a table where all the elements fell into place as required." His intuition that when the elements were listed in order of weight, their properties repeated in regular intervals, gave rise to the Periodic Table of the Elements which, though much revised since, underlies modern chemistry. If Dmitri Mendeleyev were an astrologer instead of a chemist trying to figure out the meaning of heavenly movements and had a dream about the meanings of the zodiac and the planets along with their meanings could you accept that, like you accept his dream about the periodic table of elements? My emailer was likening the discovery of the periodic table to the discovery of the rules of astrology. If Mendeleyev could literally dream up the periodic table, then why couldn’t ancient man have dreamed up astrology? He didn’t just dream up the periodic table out of whole cloth. There was already a problem he was trying to solve, namely to classify the elements according to their chemical properties. And he finally solved the problem. Most likely after a good night's sleep, rather than in a dream. But whether he literally dreamed it, or whether he just had the answer in the morning, is immaterial. He had been puzzling over a problem, and eventually found a solution. Where is the original problem the inventors of astrology were trying to solve? And where can I read about it? …not only did he leave spaces for elements that were not yet discovered but he predicted properties of five of these elements and their compounds. The missing elements were later proven to exist, exactly as Mendeleyev had predicted. Contrast that with astrology where not only was there was no problem to be solved, but the predictions of astrology proved false when tested. It’s great to “dream up” wild ideas, but unless they can be confirmed by testing, they will should remain just dreams. Where can I read of how the early astrologers’ predictions came true? There were two main problems about establishing a pattern for the elements. First only 60 elements had been discovered (we now know of over 100) and second some of the information about the 60 was wrong. It was if Mendeleev was doing a jigsaw with one third of the pieces missing, and other pieces bent! Mendeleev had written the properties of elements on pieces of card and tradition has it that after organising the cards while playing patience he suddenly realised that by arranging the element cards in order of increasing atomic weight that certain types of element regularly occurred. For example a reactive non-metal was directly followed by a very reactive light metal, then a less reactive light metal. The image of a stamp collectors’ miniature sheet shows a stamp commemorating the hundredth anniversary of the Periodic Table superimposed on some of Mendeleev’s original jottings. Right there, we have an example of the sort of thing I’m looking for with astrology. It turns out my emailer’s attempt to answer my question (strictly speaking, to render it moot), actually proved to be yet another example of how real scientific discoveries are derived. So again, I’ll ask the proponents of astrology, show me how the detailed rules were derived. And I mean show me, with evidence, with the data they used, how they calculated it, how they validated it. Don’t just say (as this emailer also said), that astrology was first conceived when highly intuitive individuals saw a correlation between heavenly movements in the cosmos to their relations here on earth… (etc etc). Tell me where can I read the details of how they did this? The details of the testing. Where are they? This thing was a nightmare to figure out. When linking to the Skeptics’ Circle last week I forgot to point to a couple of posts on astrology from new blogger, The Perky Skeptic. These posts were A Personal View Of The Harm In Astrology, Part 1 and (surprisingly) Part 2. Both of these posts are based on The Perky Skeptic’s experiences with her own father, who was heavily into astrology. Part 1 expands on a view I have written about before, namely that most people use astrology as an excuse for bad behavior rather than an opportunity to change it. Part 2 shows how believers can easily be abused by an astrologer. Interesting reads both. Can you test astrology to see if it works? If you can’t, how do you know if it does work? And how did anyone work out all the detailed rules of astrology if they couldn’t test it to see if the rules were right? the position of the “planets” (all planets, the Sun and Moon, plus other objects defined by astrologers) at the moment of birth can be used to determine the subject’s general personality traits and tendencies in temperament and behaviour, and to indicate the major issues which the subject is likely to encounter. There were two tests. In the first test, subjects were asked to pick their own horoscope out of three (their own and two controls). In the second test, astrologers were asked which one of three California Personality Index (CPI) results belonged to the subject whose natal data they had been given. Astrology failed both tests – the results were no better than chance. You can read more in my write-up from February 2005 - What do you mean, “test” astrology? Recently there has been some discussion of these tests in the comments. In response to a question from me, one commenter Apollia argues that the CPI might not be that accurate, or that the astrologers might not understand it. Her comment is here. My reply to her is here. Apollia’s comment raised for me an interesting point – how do you determine the actual personality traits of a person, in a way that they can be compared with what astrology predicts they will be? Use a standardized test such as the CPI. There may be others, although I can’t think of any that are significantly different from the above. There are problems with each. This is test # 1 from the Nature article. A criticism of this is that the subject may not be sufficiently self-aware to select an accurate description of himself from a group of three, and/or might be unwilling to “admit” to certain negative characteristics that he might in fact have. The Nature article agreed that this would be a problem, and concluded that because of this, test # 1 was a poor test of astrology. This would get around the problem of the subject not wanting to admit to an undesirable characteristic. However, this method assumes that other people know the subject better than he or she does. While this might be true in some cases, it is likely to be less true in others. As with “ask the subject”, you would need first to determine scientifically that friends could select accurate descriptions of the subject. Again, you would need scientific evidence that these experts could select accurate descriptions of strangers, based on interview or other methods. In addition, you would need to demonstrate that the expert could accurately match this information to a horoscope, or that the descriptions could be accurately conveyed to the astrologers who would match them to a horoscope. This is basically Apollia’s idea. But here we would be assuming that an astrologer could select an accurate personality description more often than the subject, the subject’s friends or an expert psychologist. I don’t think astrologers necessarily have training in this area, so it’s hard to see how this would be true. But there is a much bigger problem with this method. There would be a huge possibility of sensory leakage – other ways the astrologer would have of “finding out” details of the subjects’ natal charts. Any valid test has to be securely controlled to prevent all other ways (other than astrology) for the astrologers to pick the correct chart. Any test that allowed the astrologers to spend time with the subjects would be deeply flawed and therefore invalid. This is the Nature test #2. It is true that the CPI may not be 100% accurate or 100% understandable. But the CPI was chosen for the Nature test by the astrologers “because the advising astrologers judged the CPI attributes to be closest to those discernable by astrology.” (Page 420.) Also, the Nature test was devised and run by astrologers recommended by the National Council for Geocosmic Research for their expertise in astrology and in their ability to use the CPI. Even if the CPI is not perfect, you would still expect results better than chance. But chance results were exactly what they got. It seems to me the CPI method is probably one of the best on offer, although I would be open to the friends or experts evaluations (# 2 and 3 above), if it could be demonstrated that these people could select the accurate description of the subject from two controls. But the burden of proof is clearly with astrologers to demonstrate that astrology can pass a test to demonstrate that it works, not with skeptics to show it doesn’t. There is one thing I want to be clear about here. If none of these methods are acceptable, and if astrology can’t be tested, then it means that astrology is almost certainly bogus. For one, astrology’s doubtful provenance (no known method by which it is supposed to work, no known way its rules were derived, its absurd premises), mean we need extraordinary evidence that it works. By this I mean better evidence that we demand for many other things. But we are only offered poor evidence – anecdotes that are biased by the Forer Effect and confirmation bias. And for two, if astrology can’t be tested, then clearly no one would ever have been able to work out all the detailed rules astrologers use in the first place. How would they have been able to work out the rules if there is no way of ever testing them to see if they were right? So either astrology can be tested – so astrologers, please tell us how. (And so far it has failed all well designed tests.) Or it can’t be tested – so astrologers please tell us how its rules were derived and how you know it works. Of all the woo beliefs, astrology seems the most persistent, the most resistant to evidence, and the most frustrating to debate with believers. I am reminded of Randi’s unsinkable rubber ducks - no amount of contrary evidence will ever un-convince the true believer in astrology. Why does this irrational nonsense continue to flourish despite the complete absurdity of its premises and lack of evidence for its efficacy? This persistent belief in the teeth of evidence would in itself make an excellent psychological study. I can only explain it in terms of the power of confirmation bias and the forer effect. Confirmation bias occurs when we selectively notice or focus upon evidence which tends to support the things we already believe or want to be true while ignoring that evidence which would serve to disconfirm those beliefs or ideas. Confirmation bias plays a stronger role when it comes to those beliefs which are based upon prejudice, faith, or tradition rather than on empirical evidence. Confirmation bias is a godsend to astrology. The many different predictions of astrology, with its numerous aspects to consider, and the different possibly interpretations of the data mean it is child’s play to cherry pick predictions that match the actual characteristics of the person, and ignore those that don’t. No matter who the person is, there will be something in the horoscope that fits, and what doesn’t fit will be forgotten. Confirmation bias means the believers don’t even realize they have done this. Psychologist Bertram R. Forer found that people tend to accept vague and general personality descriptions as uniquely applicable to themselves without realizing that the same description could be applied to just about anyone. These two biases (plus some others), convince people that astrology works. Couple this with a strange apparent need for it to be true, and you have your rubber ducks – they just keep bobbing back no matter what you say. But there are no hard and fast rules -you appear to be regarding astrology a a 'cookbook' its not like that - I will spell it out for you as you have not grasped the concept at all . ASTROLOGY IS AN EVOLVING PROCESS ,THERE WAS NO ONE MOMENT WHEN SOMEONE CRIED' EUREKA THIS ASPECT MEANS THIS.OR THAT '. OVER MANY THOUSANDS OF YEARS THE ASTROLOGERS OBSERVED AND NOTED THEIR OWN AND OTHERS PERSONAL EXPERIENCES AS TO EVENTS HAPPENING AROUND THEM .THEY OBSERVED THAT WHEN THESE EVENTS TOOK PLACE THE PLANETS/STARS IN THE HEAVENS WERE IN CERTAIN POSITIONS. OVER TIME A CORRELATION BETWEEN THESE PLANET AND STAR 'PATTERNS AND EVENTS ON EARTH THAT WERE THE SAME OR SIMILAR TO ONES THAT HAD GONE BEFORE UNDER THE SAME PLANATARY PATTERNS WERE NOTED - THIS IS HOW ASTROLOGY EVOLVED AND IS STILL EVOLVING.. But where was this process “noted”? It’s a nice myth, but you don’t have a shred of evidence that astrology evolved this way. None. The above is just your assumption – you cannot show me any data to support this claim of how the rules of astrology came about. Consequently we cannot examine the process, the data you say were used, to determine if the correct conclusions were reached. In reality, the process you say occurred is absurd. It’s absolutely absurd to suppose, without one shred of evidence, that all the detailed rules of astrology were derived from unbiased observation of hundreds of thousands of events correlated to astrological positions. So do you. Is your mind open enough to admit the possibility that astrology doesn’t work, that you have been fooled? If not, you are the closed minded one. Your argument is a fallacious appeal to be open minded. An open mind is open to all ideas, but it must be open to the possibility that the idea could be true or false. It is not closed-minded to reject claims that make no sense, but if you can’t accept the possibility that astrology might be false, then you are the closed minded one. So please, examine with an open mind, these tests that astrology failed. Tell me honestly how astrology could be real if the expert astrologers recommended by the National Council for Geocosmic Research couldn’t do better than chance in the test they designed themselves? -realise that astrology is not an exact science in the way you obviously think it is . I don’t think astrology is an exact science, or even any kind of science. What I have said is that astrology fails when tested scientifically – ie using a double-blind protocol to control for confirmation bias and the forer effect. You appear to be agreeing with me here by saying that astrology cannot be shown to be real using science. This is just an appeal to other ways of knowing – you are claiming there are valid ways of knowing things other than the scientific method. Science has proved to be the most reliable method we know for evaluating claims and figuring out how the universe works – arguably the only reliable method. If you claim there is a better method, it is up to you to explain your better method and justify how it is better – something you haven’t done. How convenient to be able to say the predicted things may or may not occur. The way you have described it makes astrology unfalsifiable – according to you it works no matter whether it passes or fails a test. Answer me this please – are the predicted events more likely to happen than pure chance? If you answer yes, then how do you explain the fact that when tested, astrology doesn’t perform better than pure chance? If you answer no – astrology is no better than chance – then if you still insist that astrology “works”, precisely what is your definition of “works”? Precisely – the predictions of astrology only become apparent after the thing astrology is supposed to predict, has occurred. And a prediction that is only known after the predicted thing has occurred, is a pretty useless prediction. In fact, it is not a prediction. You are fitting what happened after the fact, to some aspect of the horoscope. That’s like shooting a load of arrows at the wall and then drawing the target where most of the arrows hit. but they will correlate with the meaning attributed to the planatary aspect taking place. Except the evidence is that it won’t correlate, unless you know in advance what the person’s horoscope is, and therefore you know what to look for. Tell me, why is it that when astrologers try to do this blind, they perform no better than chance? This meaning as I stated above is the result of millennia of thought and observation by astrologers –the subject is too big to compartmentalize and decimate in the way you are trying to do it . Then it is too big to have been done at all, ever. Don’t you see this? If you can’t demonstrate now that astrology works, using any kind of test, then it would have been impossible to do in the first place, impossible for those detailed rules to have been worked out. How do you think the originators of astrology did this, and managed to come up with all the detailed rules the way you claim they did, if the subject is too big to compartmentaliz this way? Im a computer programmer with a maths degree, not some air head new age type .I have a good understanding of scientific principles but I love astrology because it WORKS . Sorry Cassini but you have demonstrated you have a very poor grasp of scientific principles and the scientific method. You have invented an absurd process that you think the ancients adopted to derive the rules of astrology, and yet you think modern science is incapable of replicating this process. You do not understand the biases that are fooling you, or that scientists must control for those biases when performing experiments. You do not understand the principle of falsification that guides the scientific method. You think it is beyond the wit of humans to compare the predictions of astrology with what actually transpires. It is not. It has been done and astrology doesn’t work. Perversely, you ignore these studies because you just “know” astrology works. You have no interest in testing astrology to see if it could be proven wrong. Your reasoning is totally contrary to any scientific principle. Im sure your an Earth sign !! I’m sure I’m not: I’m Libra which is an air sign. However, I’m equally sure you will now be able to fit some aspect of my personality to that sign, as you would whatever my sign was. And that is why you think astrology works – it is so vague, and there are so many possible combinations of planetary aspects, that you can always find something to fit and ignore what doesn’t. Where is the evidence the rules of astrology were derived in the way you claim? How could the ancients have figured out all the rules of astrology, if astrology really is too big to compartmentalize this way? Are you open minded enough to admit that astrology might not work? What evidence, if any, hypothetically, could ever convince you that astrology does not work? Do you understand that you may be influenced by confirmation bias and the forer effect. If not, why not? If so, do you accept that you could be mistaken when you say “astrology works”? What other method could be used to evaluate the accuracy of astrology, if the scientific method is inadequate? Are the predictions of astrology more likely to happen than pure chance? If the answer to the above question is “yes”, then how do you explain the fact that when tested astrology doesn’t perform better than pure chance? If you answer “no” – astrology is correct no better than chance – in what way are you claiming astrology “works”? The comments are open below – please use them to answer the questions. Don’t be a rubber duck. If you answer the questions honestly you might learn something about what is really behind astrology. The above questions were specifically for Cassini – they arose directly from what he had written. It is clear now that Cassini is not going to even consider these questions, and so I decided to amend this post to leave just one question for astrology proponents to consider. Here it is. Test #2: 116 people completed California Personality Index (CPI) surveys and provided natal data (date, time and place of birth). One set of natal data and the results of three personality surveys (one of which was for the same person as the natal data) were given to an astrologer who was to interpret the natal data and determine which of the three CPI results belonged to the same subject as the natal data. The astrologers chose the correct CPI in only 40 of the 116 cases. This is the exact success rate expected for random chance. The astrologers predicted that they would select the correct CPI profiles in more that 50 per cent of the trials. Here is the question: why did the astrologers perform no better than random chance? The comments are open for your answers. Some advice. Don’t tell me astrology can’t be tested this way, or that astrology is somehow beyond the abilities of science to measure, unless you can explain exactly why this specific test is unsuitable as a means of testing astrology. Don’t reply that I need to study astrology more, or with a list of books I need to read. And above all, don’t reply that I need to approach astrology with an open mind, unless you can demonstrate you have a mind open enough to consider the obvious answer to the question – namely that astrology is nonsense. Ignore this advice and you will be ridiculed. For bonus points you could also tell me (with evidence please) how astrology was derived – although I won’t be holding my breath. Over to you – answer the simple question. It seems to me woos are increasingly relying on psychobabble – “language characterized by the often inaccurate use of jargon from psychiatry and psychotherapy” – in place of the actual arguments they don’t have. This post is the first where I examine this form of “argument” – this time from someone who left a couple of (off topic) comments to my Astrology Challenge. (A second example will follow in a day or so.) I do so because (1) it amuses me, but also (2) I think it’s instructive to deconstruct these highly manipulative but ultimately fallacious arguments. I really just want to write you a note, as one skeptic/atheist to another. I was just trying to point out gently that even if astrology is bogus, it has a natural history that consists of many generations of people - astronomers, astrologers, in the not so distant past these were one and the same - trying to make sense of the world. (Since you seem to like books and references, I will refer you to Richard Grossinger's excellent "The Night Sky"). So the rules of astrology weren't "just made up;" they were accumulated over millennia by people trying to impose meaning on a meaningless universe. It's just that at some point after Newton (who was heavily into the esoteric woo-woo stuff), most scientists discarded the obviously outdated baggage and moved on from astrology to astronomy. This is the fallacy of equivocation that I wrote about before. Astronomy is not the same as astrology, even if they were practiced by the same people centuries ago. It’s completely irrelevant to whether the rules of astrology were made-up or derived. But I don't think I need to explain that to you, who know so well the human need to try to understand things. You have seized on reason as the weapon that makes you right every time. Others seize on God. Of course, science doesn’t make anyone “right every time”, it is just the most reliable method we have for explaining how things are. It’s true that with reason and science I will probably be right more often than people who rely on other ways of knowing. But that isn’t what I want to focus on. The point is, it is here that the psychobabble starts. Note the interesting wording: “the weapon that makes you right every time”. Kaz has reversed the order of things. His argument goes that I have decided astrology is bogus, and have a need to be right about this. I have chosen reason as the weapon to back up my pre-conceived belief - to “make me right”. The corollary is I am “making wrong” anyone who disagrees with me – clearly a pejorative action. It is expressed this way so that it appears my “need” to be right is a weakness, and “reason” is my “weapon” to cover up this weakness. But he has it exactly back to front – it was by using reason and science that I determined astrology was nonsense, not the other way round. Of course, I am trying to find out what is “right” – that is the purpose of critical thinking – but it is not to “make [me] right”, it is to arrive at what is right. That is the crucial distinction that Kaz has (ironically) wrong. The reason I go into this in so much detail is that I have noticed this type of reasoning – skeptics have a need to be right etc - is utilized a lot by woos to put skeptics down and obscure the fact that the woo has nothing to justify his claim. I’m not sure where it comes from, although I suspect it’s an argument used in woo circles that sounds good so is picked up and repeated without much (any) thought. It’s classic psychobabble. It’s certainly highly manipulative and as used here is fallacious. Speaking of which, I find that you are a little too quick to call your readers' comments "moronic" etc. Your strident tone reminds me of fundamentalist Muslims and others who have "seen the light" and have a very low tolerance for other people's opinions. You mention that you once believed in astrology. Did you have some kind of conversion experience that left you the strident rationalist that you are now? Here we have another fallacy - the false analogy. I don’t insist people accept my views on astrology the way that religious fundamentalists insist the world adheres to their religious beliefs. Anyone is welcome to practice astrology to their heart’s content as long as it doesn’t directly affect me (as for example, when a US President consults an astrologer before making decisions). I just post facts about astrology on this blog and ask proponents who visit this site to answer questions and justify their silly beliefs. This is a blog set up to promote critical thinking, so if you’re going to post claims on this blog I am going to ask you to back them up. You can go away and do whatever you want – just don’t expect me to believe in your nonsense. Finally, re: astrologers vs skeptics, I challenge you to demonstrate why "it matters if it's right or wrong." Or to make it a little easier for you, why you think it's so important, indeed why you even have this website. Will the sky come tumbling down because people believe in astrology? Will an eventual human extinction be avoided because a critical mass of humanity embraced rationality and skepticism a la Skeptico? I severely doubt it. So why does it matter? I think this question gets to the crux of why Skeptico is such an angry and vehement rationalist. My “moronic” comment was in response to Kaz’s claim “It doesn't matter whether you or the astrologers are right or wrong”. Well, of course it matters. If someone makes decisions based on astrology it matters if astrology is right or not. But it is wider than that. This blog was set up to promote critical thinking – to demonstrate how to apply critical thinking and the scientific method to evaluate claims. If it doesn’t matter if the conclusions of critical thinking are right or wrong then it doesn’t matter if you use critical thinking or not. So for example, it doesn’t matter if an alternative therapy will cure your cancer or not – you may as well take the altie therapy even if in reality you will die without the evidence-based therapy. Yes, saying it doesn’t matter if something is right or wrong is moronic. And if you disagree then I have a bridge to sell you. Bring your check book. I am no proponent of astrology, so I will stop here and leave space for those astrologers who wish to enter into verbal fisticuffs with you. But really, why are you so invested in being right? Why the need to lash out at anyone who so much as slightly disagrees with you? I think you should consider the possibility that there are some not-so-rational reasons for your insistent position, and that some psychotherapy, astrological or otherwise, might be in order. Again note the psychobabble – I am “invested” in being right. “Invested” – an interesting word, implying I have a need to be right – I wouldn’t want to give up an “investment” after all. But as I pointed out earlier, rationality leads me to the right answer, I do not start with an answer that I have “invested” as being right. But the fact that Kaz thinks this is a good argument implies that is the way his mind works – he is invested in this discussion for some reason. So much so he has a need to post a second 400 plus word comment on astrology. Pretty funny for someone who doesn’t believe in it and who claims I have an “insistent position” that might need therapy to sort out. I think he's talking about himself. What gets Michael Behe’s goat? Last year I wrote that Michael Behe, in sworn testimony, agreed that astrology would be considered a scientific theory if judged by the same standards as he wished Intelligent Design to be judged. I also wrote that I was unaware of Behe’s astrological sign. Claus Larsen of Skeptic Report just advised me that Behe is a Capricorn (born January 18th) – the Goat – and suggested I should look into the characteristics of Capricorns and see how they fit Behe. Oh dear, he dislikes fantasies, go-nowhere jobs, ignominy and ridicule? The last nine months must have been pretty miserable for him then. The wit and flippancy which is characteristic of certain Capricornians may make some turn to entertainment as a career. I’m sure we all wish him well in his new career in entertainment. Notwithstanding many of us thought that already was his current job. In June 2000, Lynne Palmer, a 69-year-old Las Vegas resident, published her Astrological Almanac for 2001 (Star Bright Publishers). On page 95 of the book, buried among advice on the best days to go to the movies and worst days to lend people money, Palmer had written, in an odd combination of the obvious and the prophetic: "Avoid terrorist attacks on September 11, 2001." "Only one person predicted the date of the attacks, and that was Lynne Palmer," says veteran astrologer Robert Hand, a relatively highbrow practitioner of the art. "I don’t know how she did it. Things looked chaotic, but I could not have foreseen September 11. I looked and looked and I don’t know how anyone could have predicted it to the day." Think about that comment for a bit. Can you imagine a scientist saying he had no idea how a fellow scientist arrived at a valid conclusion? Such an idea would be absurd because in science, the method would be known and the results (if valid) could be replicated. Top astrologer Hand – even with the benefit of hindsight – can’t see how Palmer predicted 9/11. If you needed proof that Palmer didn’t predict 9/11 with astrology, surely this is it from Robert Hand himself? 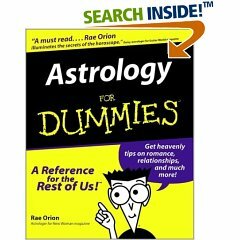 Palmer's book is an exhaustive astrological guide that lists nearly 500 different categories of activity and thousands of dates that ought to be avoided. It advises the best days for everything from cutting cloth to having surgery. Under the category of "Avoid: Terrorist Attacks" she listed more than 130 dates in 2001. For September, she listed 16 dates for avoiding terrorist attacks. Just out of curiosity, we looked up "Avoid Travel by Air." She listed 13 dates in September to be avoided. September 11 was not one of them. "Astrology is not a science," says Hand. "It’s a craft. It has no solid foundation. Astrology “has no solid foundation”. What he means (confirmed by several other astrologers), is that astrology was just made up. For once I can agree wholeheartedly with an astrologer. It begs the question though – how does he justify practicing as one and (presumably) charging money for his services? I’m in the wrong business. Catching up with some old emails I came upon this article sent by reader Matthew. A couple of “internet entrepreneurs” (the article’s description, not mine), are suing the buyers of their business for “improper use of [one of the couple’s] name, likeness, persona and credentials” – ie implying she still worked for the company when she had left. Not the sort of thing to interest Skeptico, you might think, except the business they had sold was Astrology.com and they sold it for (wait for it), $40 million! Jeez – there’s money to be made in woo. No wonder they’re not interested in Randi’s poultry paltry one million. Well yeah I see her point – that’d be stealing her job. But from what I can tell, iVillage still features, (strangely looking much younger in the picture), Kelli Fox as your iVillage Astrologer. Funny – you’d have thought she would have seen this coming. You may have seen in Randi’s column yesterday that the Science Daily website has an astrology section. I'm surprised to see your Science Daily site has a horoscope page. I've written about astrology a few times: surely you know that astrology is made-up pseudoscience that fails every scientific test? It's already hard to get people to understand what science is, and how it is different from pseudoscience. Aren't you making this job more difficult by encouraging belief that astrology somehow belongs in a scientific publication? I'm assuming you can't seriously believe astrology is anything but nonsense. I'd be interested to know why you have an astrology page, and if you would consider removing it from your scientific journal. I hear you -- and the dozens of others who have written to me about this recently -- and I'll remove the astrology items from ScienceDaily immediately. What happened was that we recently licensed a commercial newsfeed from UPI -- not just their science news, but everything -- general news, science, business, sports, entertainment, you name it. I thought that would be OK to offer our readers, even if not all of the content was necessarily science-related. However, I didn't realize that the "Quirks" feed in particular included horoscopes. Having said that, I realize that astrology is particularly offensive to a large number of our readers, and so I'll work to explicitly exclude anything to do with astrology in the scripts we use to display the UPI feeds on ScienceDaily. Thanks for bringing this to our attention. Let me know if you have any questions. Thanks Dan. I can easily understand how something like this can slip in under the radar. Kudos to Dan and Science Daily for recognizing the error and offering to correct it. Actually, I think that’s a little insulting to astrology. Unlike ID, astrology makes testable predictions. Of course, the predictions of astrology fail to correspond with reality, but that’s a separate issue, at least astrology makes predictions and can be tested. ID doesn’t predict anything that I am aware of. Still, it’s interesting to see what Behe includes in his (re)definition of science. Every time Rothschild would ask Behe about a statement, some he wrote himself, he'd say he'd have to disagree that it said what it said. I expected Rothschild to ask Behe whether he was able to read and understand the English language. At one point during Rothschild's cross-examination, the lawyer asked the scientist whether he was co-authoring a book, a follow-up to "Of Pandas and People," with several other intelligent design moolahs. He said he wasn't. The lawyer showed him depositions and reports to the court, quoting two of the other authors as saying he was a co-author. Behe said that he wasn't a co-author of the book but that the statements by those guys weren't false. He said one of the authors was "seeing into the future." Rothschild asked, "Is seeing into the future one of the powers of the intelligent-design movement?" Seeing into the future is the province of that other science — you know, astrology. Michael Behe is Professor of Biological Sciences at Lehigh University in Pennsylvania, and he holds a Ph.D. in Biochemistry. I am unaware of his astrological sign. HALF of all Americans either don't know or don't believe that living creatures evolved. And now a Pennsylvania school board is trying to keep its pupils ignorant. It is the kind of story about America that makes secular Europeans chortle smugly before turning to the horoscope page. I am reminded of Michael Shermer’s recent comment that most people think “skepticism is fine as long as it is someone else’s codswallop under the microscope”. Of course, there’s about as much evidence for Intelligent Design as there is for Astrology. That is to say, no evidence. The rest of the article is pretty good on the current legal challenge in Dover, and does not report equally on “both sides” for “balance”. Noting that the Star of Bethlehem and the capstone of The Great Pyramid are both ancient astrological configurations, this site attempts to document discoveries that may provide solutions for mysteries that have puzzled humanity for eons.Astroarchaeologist John Charles Webb, Jr., has done extensive mathematical and astronomical research in order to identify the Star of Bethlehem and discover the birth date of Christ. As far as I can tell, he applies some kind of numerology to prove when Jesus was born, and where the capstone of the great pyramid is located, and other such valuable information. To find the exact birth time of the biblical Jesus Christ, "pi" (3.141592654) is transposed to time. This same method is the one which I used to locate the Star of Bethlehem using "Egyptian Pi" (22/7). If I’m reading him correctly, he converts the value of Pi to a value of “time” (for no rational reason I can ascertain) and claims this value is the amount of time prior to 1 Jan 0001 Jesus was born (again, for no rational reason I can think of). He determines it would be 4 years - 2 months - 18 days - 21 hours - 5 minutes - 40 seconds prior to 01-01-0001. Hold on to that thought for a minute. He calculates this date as February 18th 5 BC at 9:05:40 PM. But surely the 2 months - 18 days etc should be counted back from the end of the year (Dec 31,) to give a date in October - Oct 11, I think. (I could be wrong here but I think that’s how you do it.) He’s taken 5 full years off and then added the 2 months - 18 days to arrive at Feb 18. Actually even that’s wrong – that way would be March 18 not February 18. What the hell, it makes no sense anyway. It was derived by the Chaldeans (Pre-Egyptians), practiced by The Magi (Sect of powerful High Priests) and the ancient Egyptians (Sun Worshippers). The most convincing evidence is encoded in The New Testament, Gospel of Matthew in the account of the birth of Christ which is synonymous with the "birth" of the Sun into a new Great Astrological Year (Age of Pisces). Additional proof can be gleaned from the observed "fact" that the way that western astrology is presently practised (divination) is subject to much scorn and criticism. Astrology is subject to much scorn and criticism – at last, one thing we both agree on! Skeptico, please tell me you're not going to let this one go... Marina Bai, astrologist, is suing NASA because they crashed one of their probes into a comet, thus screwing up her horoscope! It would be a crime to let this loon go unfisked, don't you think? Well yes it would, although I note Randi pretty much fisked her today (I hope that isn’t rude in some European language). Personally, I hope she does sue. Of course, she would have to prove that her fortune changed due to some change in this comet. So she would have to prove what her fortune was before, what it is now and how they differ, ie she would have to prove astrology works. She could have trouble doing that since, as we know, astrology doesn’t work. In fact, we know that astrology is just made-up nonsense. Still, I await her attempt to prove otherwise in a court of law. It’s been a month: time for an astrology post. Several people have suggested that even if astrology isn’t accurate, it encourages introspection and self-examination. For example a horoscope might tell a person he is rude or thoughtless of the views of others. He uses this as an aid to understanding himself better, and changes his rude behavior. The obvious response is that most believers view astrology as real, and not a false-but-useful method of self-analysis. The thousands of astrologers charging for their services certainly make this assumption. But let’s ignore this for now. Let’s consider if astrology could encourage people to examine themselves and change bad habits when they otherwise wouldn’t. I can think of two arguments against this. The first is that since personality characteristics predicted by astrology bear no relation to the actual personality characteristics, astrology is not much use as an aide to self-awareness. For example, if the horoscope tells the person he is rude or thoughtless of the views of others, but his actual problem is (say) laziness, astrology will have him fixing the wrong problem. His real problem will remain. The second argument is that most people use astrology as an excuse for bad behavior rather than an opportunity to change it. For example, for many years I thought my being a Libra meant I would always have difficulty making decisions, and used this as an excuse to delay decision making. Of course, I realize now I have no more trouble making decisions than anyone else. I don’t allow myself that excuse anymore, but that is because I stopped using astrology, not because it helped me understand myself better. Belief in astrology actually held me back for many years. Introspection is a lame excuse for using astrology. Astrology supports magical thinking and opposes rationality and science, which is bad enough. But it also reinforces and even encourages behavior the person might not even engage in but for their chart telling them that’s the way they are. Astrology is wrong, it doesn’t work, and in my view it’s worse than useless for self-examination. I introduce part six (mercifully the final part) of the Astrology Challenge – my attempt to see if any astrologer can explain how the ancients worked out all those detailed rules astrologers use. At first, when I started all this, I wondered if I was being too hard on these people. After all, they replied in fairly friendly terms when they needn’t have replied at all (although only three out of seven replied with any thoughts – a fourth just gave book recommendations). But as I read back through their dopey replies, I think if anything I’ve been too generous with them. To say that something imagined could be true, and to equate the writings of myth and fiction with truth, is just absurd. If you think anything imagined could be true, you have no way to judge the truth or otherwise about anything, and no basis to reject any idea no matter how ridiculous. You are in complete freefall. You will never learn anything new with this approach. And to suggest that we need a different “paradigm” from science is just nonsense cloaked in pseudo-intellectual language. Of course science doesn’t know everything, but that doesn’t mean there is a better method. And the idea that some things require a different approach from that of science is idiotic. Science just means we test our hypotheses against external reality. If something has an effect, this effect can be measured and compared with what was expected – ie it can be tested scientifically. If science cannot test something that just means that the thing has no measurable effect. And what is the difference between something with no measurable effect and something that doesn’t exist? - Nothing! I would teach the world that scientists start by trying very hard to disprove what they hope is true. When they fail, they have a good reason for believing what they hope is true, and can even convince others of its truth. Do you think any of these astrologers ever tried to test their magic fairy tale pictures in the sky fortune telling system this way, to see if they could prove it wrong? Of course not; they’re too busy looking for “other paradigms” that will not challenge their silly beliefs, to gain any real knowledge. That’s why they’re pseudo-scientists, not scientists. And they basically admit it – are even proud of it! It’s disheartening to realize that certain people are beyond reasoned discussion. Disheartening, but instructive. The astrologers essentially admitted astrology really is just made up, and furthermore this OK by them. And these people are allowed to vote and drive on the public roads. Their arguments are an insult to the intelligence. Anyway, there you have it: made up crap that doesn’t make sense and doesn’t work. Astrology is ludicrous crap, every part of it from top to bottom, inside out, every way you care to look at it. There can really be no doubt any more. I introduce part five of the Astrology Challenge – my attempt to see if any astrologer can explain how the ancients worked out all those detailed rules astrologers use. Today I’m just listing the recommended reading the various astrologers gave me. Just to be clear, I’m not rushing to read any of these selections; in fact, I may not read any of them. Some might find this a little closed minded. It’s not, though: if I really thought one of these books even partially answered my question, I would buy it straight away. But I know they don’t, because the astrologers recommending them specifically said that the books explain the different way I have to look at things, why science doesn’t know everything, etc. I’m showing this list for the sake of completeness. And if anyone has read any of these books and wants to comment, please do so. Francesca Rochberg’s The Heavenly Writing, “details the way astrology developed in Babylonia from astral omens to horoscopic astrology, and the dovetailing of divinatory practices to what might be called Babylonian science”. Might be interesting as background, but honestly I’m not that interested to lay out $70. I would borrow a copy to read it, though. John Anthony West’s The Case For Astrology “which also discusses the origins of astrology” - might be almost worth the $8 to find out what he thinks. Almost. Gregory Bateson, Mind and Nature: A Necessary Unity “The development of this kind of thinking in ecology and networks”. Ilya Prigogine, The End of Certainty: Time, Chaos and the New Laws of Physics “This is a seminal work by a Nobel Laureate in physics”. Allan Chapman's Gods In The Sky. Francesca Rochberg, The Writing of Heaven. And of course there was also this list. If anyone can make sense of that I’d be interested. I introduce part four of the Astrology Challenge – my attempt to see if any astrologer can explain how the ancients worked out all those detailed rules astrologers use. Featured astrologer today is Dorian Gieseler Greenbaum, the Research Director of the National Council for Geocosmic Research. I sense that perhaps you have an underlying question that you have not yet fully articulated. If I may borrow a page from Aristotle, I don’t think your question has reached its final form – you have not quite linked eidos with telos. Or, to say it from a hermeneutic perspective, you are still at the literal stage in your investigations. Aha, I finally understood something. She believes the stuff the ancients just made up, could be true. As I’m sure you are aware, even science would now acknowledge that there are other paradigms than the scientific one; even science recognizes that it is no longer the sole custodian of truth, as post modernity impacts on all epistemological levels. …suggest a paradigm which requires a totally different set of questions to be asked about astrology and the nature of reality itself. Translation – your questions should be designed so as not to require evidence in support of the answers. Reading Greenbaum’s reply I realize that some people will never be persuaded by any kind of reasoned thought. It’s depressing, but instructive. I realize this dismissal of Greenbaum’s reply is a little one-sided. I could have replied to her, questioning and debating each point and getting her responses, and then I would perhaps have had more of her side of the story. But my purpose was not to badger these people – I provided a link to this blog where she could leave comments if she wished. Clearly she doesn’t wish to. I was honest about my question to her, and I gave her the opportunity to answer it any way she wished. That was, I believe, her best shot. I don’t think I need to comment further. Tomorrow I will give you a brief look at the reading lists the astrologers gave me. I introduce part three of the Astrology Challenge – my quest to see if the astrologers can explain how the ancients worked out all those detailed rules astrologers use. Featured astrologer today is Penny Thornton. You pose a salient question. And, of course, as a practicing astrologer, I wish I had a neatly prepared answer. we can only make assumptions as to how and why they derived any meaning from the planets and constellations. But given that these ancient civilizations saw omens in the flights of birds and sheep’s entrails, why not the stars? from the beginnings of man, when his entire survival was based on nature and the elements that, without TV to enlighten him, the starry sky at night gave him plenty to look at and to derive meaning from. And somehow across the millennia an intricate system of knowledge developed, in part through empiricism, in part psychic guesswork and a mish-mash of myths and legends. Summary – she doesn’t know but it’s similar to reading sheep’s entrails… er, they made it up. Tomorrow – the Research Director of the National Council for Geocosmic Research. Now she must know the answer. Who could have predicted this would be astrology challenge week? Seriously, who could have predicted this would be astrology challenge week? I’d like to know. Not astrologers. That’s for sure. Yesterday, Phil Plait posted an anti-astrology item to his Bad Astronomy blog, and so today I’m just providing a link to Phil’s Bad Astronomy page debunking astrology. Phil is an astronomer, and so naturally he says astrology irritates him greatly, “because it distorts and perverts the natural wonder and beauty of the Universe”. And, I would add, because it promotes stupidity. Read Phil’s piece on astrology. Tomorrow I will return with an analysis of a second astrologer’s reply to my Astrology Challenge. My Astrology Challenge was to the proponents of astrology – tell me how the ancients worked out all those detailed rules astrologers use. I raised this issue because I don’t think anyone can tell me how they worked it all out, because they didn’t work it out – they just made it up. And if they just made it up, I contend it’s highly unlikely to be true. Even more so when you remember that astrology fails when tested (ie it doesn’t even work). Still, I’m always willing to have someone prove me wrong, and so I emailed seven reasonably high-profile astrologers to see if they could do so. After all, you would expect someone who makes a living doing this stuff to have some idea about its origins. I indicated I was skeptical of astrology and provided a link to the “Astrology Challenge” article, inviting them to respond on the blog if they wished. None did, but four of the seven emailed me personally. They were all aware I was blogging a series of articles skeptical of astrology. A summary of their replies would be that yes, astrology really is just made up. Of course, that’s not how they articulated it, although their actual replies are an interesting window into a rather strange way of thinking. I present some of their comments here, with my analysis. My intention is not to ridicule their beliefs, but to examine how their beliefs stand up against reasoned analysis. I have quoted some relevant bits, with my comments, and am genuinely interested to see how many people think their replies make any kind of sense. To prevent these posts from being too long and boring, I’m just going to write about one astrologer’s reply per post. I’m going to start with Rob Hand. Unfortunately there is an entire academic discipline built around the study of the history of astrology and there are no snappy answers that one can give a skeptic or anyone else for that matter. It is (seriously) a bit like asking a physicist to give a quick answer to the question how strong theory works. The shortest answer that I can give is that rules were probably not derived in a manner that we would regard as scientific. The problem is that it is not clear to many of us that the scientific method is the only source of truth. if you wish to get the answer to your questions, you are going to have to do the research. Astrology represents a very different way of looking at the world and reality from what you are probably used to. Part of the process is getting familiar with that way of looking at things. If Science is for you the only possible way of getting at any sort of truth, then it is unlikely that you will find anything in this that will satisfy you. If I tell you that astrological ideas are closer to revelation than to scientific theory (closer does not mean "the same as"), then you will probably dismiss the idea that there could be any kind of truth in it. I am not aware that any method “closer to revelation” has ever revealed anything true or useful. I am aware that the scientific method is the most consistent and reliable method so far discovered for revealing the truth. I would tend to say, “the only” such method. As with a lot of pseudo scientists, Hand is trying to discredit science by implying it is the wrong way of looking at certain things. But science doesn’t mean lab coats and test tubes. Science just means that results are tested against reality to see if they work. If a thing has a real effect, it can be measured and tested by science. If it has no real effect, then it might just as well not be real. Hand’s method “closer to revelation”, sounds to me like “making stuff up based on pictures in the sky”. Which, if you recall, is where I came in. I’ll write about the other replies later this week. That’s what my sister told me in response to my astrology fails tests piece - “I’m a typical Gemini”. Well, of course you are. So am I. I’m a typical Gemini too. So I’m told. People try to guess your star sign, and with me they often start with Gemini, because I have two or more distinct “sides” to my personality, or something. If I was Gemini, people would say, there, that shows astrology works, because you’re a typical Gemini. But I’m not Gemini, so they don’t say that. The next guess is usually Virgo, because my place is pretty clean and tidy, well organized etc. If I was Virgo, people would say, there, that shows astrology works, because you’re a typical Virgo. But I’m not Virgo, so they don’t say that. People have guessed Leo, because I can be a bit arrogant occasionally. (I know, hard to believe reading this blog, but that’s what some say). Or it might be Sagittarius, because I can be blunt to the point of upsetting someone (ditto). Sagittarius upset people without realizing it, but Scorpio upset people and they know they are doing it – they just don’t care or even want to have that effect. Either of these can describe me on occasion, and I have had both Sagittarius and Scorpio guesses. Of course, if I were a Leo (or Sagittarius or Scorpio), people would say, there, that shows astrology works, because you’re a typical Leo (or Sagittarius or Scorpio). But I’m not any of these either, so they don’t say that. Eventually they give up and I tell them I’m Libra. They always say, of course! You’re artistic, intelligent, good at business etc etc – a typical Libra. This always comes after I have told them which sign I am. Someone who believed in astrology would take that as confirmation that astrology works – I have Libra characteristics, I’m a Libra, so astrology works. They selectively remember the hits (Libra characteristics I have), and ignore the misses (characteristics of Gemini, Leo etc etc that I have). They also ignore other misses – characteristics of Libra I don’t have. Easy to do when the rules are ambiguous and open to interpretation. And if the sun sign doesn’t fit they can bring in the position of the Moon and any number of planets at the time of birth. If you can’t make something fit with all those variables you’re really not trying. Here’s my challenge to proponents of astrology: show me how those ancient people figured it all out. You know, all those detailed rules, and charts you use. I’m not talking about the astronomical data – where the sun and planets were at given times. I’m talking about the meaning given by astrologers to the astronomical data: how did they ever work out which specific astrological aspect affected which personality characteristic and in what way? Because if they didn’t derive it somehow, they must have just made it up. And if they made it up, it’s very unlikely to be true. So my challenge to you is prove me wrong: show me it was not made up. I’ll give you an idea of what I mean. If you want to know how we originally figured out any scientific fact, the information is available somewhere, and you can often repeat the experiment to test it for yourself. For example, if you want to know how Galileo knew that the planets orbit the Sun and not the Earth, you can read how he observed the phases of Venus through his telescope. What he saw was exactly what you would expect to see if Venus did orbit the Sun. If you have a decent amateur telescope you can confirm Galileo’s observations yourself. Likewise, if you want to know how we first calculated the speed of light, you can read about Olaf Romer’s observations of Jupiter’s moons. Romer observed that when the Earth was farthest away from Jupiter, the innermost moon took 11 minutes longer before it reappeared from behind the planet, compared with when Earth was closest to Jupiter. He deduced that this additional time was due to the extra distance the light had to travel, and from this he calculated the speed of light. Again, you can confirm these measurements if you want to, although the speed of light has also been confirmed many other ways since then (all documented). Every scientific fact, from how Maxwell derived his famous equations to how we know about the strange behavior of the quantum world, was derived from observation and experiment. It’s all recorded somewhere, it can all be checked, and nothing is known by magic. No accepted knowledge was simply “made up” because it sounded right; we always know how it was derived and tested. Where is the equivalent body of knowledge for astrology? Note, not difficult: impossible. So how did the Babylonians, 3500 years ago, and those that followed, do the impossible? I have posed that question to many believers in astrology. They usually refer to “ancient texts”, but no one has yet been able to produce references to such documents. One person sent me the history of astrology by Robert Hand, but this just tells us how ancient texts were translated, and how one set of myths was incorporated into another. It tells us nothing about how it was derived. Another person told me the ancients must have carried out large scale personality tests and correlated them to the zodiac. The idea of the ancient Babylonians conducting some kind of massive personality survey is patently absurd, but even if we play along with the idea, still no one can show me the data. Face it, they don’t exist. Of course, we have a pretty good idea how astrology really started. The ancient peoples didn’t know what those stars and planets up in the sky really were; they just saw pictures in the sky (constellations), and imagined them to be real – messages or omens from the gods. They thought that if you were born under the sign of, say, the lion, you would have characteristics of the lion. They thought the same for the other pictures in the sky, and for the planets that they named for gods. This method of thinking is extremely primitive. It’s the same principle as voodoo: stick a pin in the voodoo doll’s stomach, and the victim feels pains in his stomach. Do it to the doll and the same is done to the person. It is known as sympathetic magic. Sympathetic, because the stomach of the person feels the same as the stomach of the doll. And magic, because there is no known way that this would ever work. It is, of course, nonsense. And that is how the detailed rules of astrology were written and added to over the centuries. Supposed characteristics of one of the pictures in the sky are assigned to a person, depending on where the Sun, Moon or planets were in relation to the magic picture at the time of birth. But it was never derived from factual data; it was made up fairy-tale fashion. And if it was made up, it is highly unlikely to be true. At the very least, astrology’s doubtful provenance means we would need extraordinary evidence that it works, before we should accept it does. But we are only offered weak evidence. And when tested, astrology fails again and again. So my challenge to believers in astrology is: prove me wrong. Show me how the ancient peoples worked out all those detailed rules that you use. And please show your work. Alternatively, if you can’t show how it was derived, isn’t it about time you admitted that it’s just a load of made-up nonsense? You can answer by hitting the “comments” button below. Click the links above for their individual detailed replies and my comments. Also see my summary of their replies and my conclusions. This thread was set up to challenge proponents of astrology to explain how all the detailed astrological rules were derived. I am leaving the comments section below open for anyone to post their explanations, or links to same. Take note: the comments section below is not open for people to post how hard it is to do this, how astrology works for you, how skeptics are closed-minded, how it doesn’t matter if astrology is real or not, or any other drivel you care to write. If you want to whine about these things get your own blog. Post details of how astrology was derived, showing all your work, or do not post at all. Posts that violate these rules will be summarily deleted. According to German newspaper Bild sexologist Piero Lorenzoni said: "A woman's breasts denote a woman's character, just like her star sign." He has categorised breast types according to fruits and says men can draw up their own horoscope-type chart that indicates what a woman's chest size says about her. It’s as accurate as astrology? Wow! It’s completely useless then. Still, in the spirit of keeping an open mind, I’m willing to assist in any additional research. I don’t claim to be an expert but I’m willing to learn on the job. Here’s an idea. Perhaps Lorenzoni could team up with Jackie Stallone – she can tell your fortune by looking at your other end. Sounds like an interesting scam. I think I’ll get into this business. Sign up for Skeptico’s T&A readings – “I’m not a psychic but I’ll have a look”. Hey, at least I’m honest. I’ve just realized Stallone doesn’t practice astrology she practices asstrology. If she only looks at one cheek, is that half-asstrology? Oh wait, all astrology's like that. "I love love in all its variations, but can be very religious, and am known to have affairs." That was the actual question someone asked me recently. I had said that whenever astrology is tested, it fails the test. Her reply was, what do you mean, “test” astrology? I said, well, compare the predictions made by astrology, to what actually transpires. (i.e., see if it works.) It seemed a pretty obvious reply. It seemed to confuse her, though. Possibly the most detailed test of astrology using this type of method, was performed by Shawn Carlson. His paper, “A Double-blind Test of Astrology”, was published in the peer reviewed scientific journal Nature, in 1985. The interesting thing is that the San Francisco chapter of the National Council for Geocosmic Research recommended the 28 professional astrologers who took part, and (with Carlson), designed the tests. They also predicted, in advance, what they would consider to be a successful test. Test #1: Astrological charts were prepared for 83 subjects, based on natal data (date, time and place of birth), provided by the subjects. Each subject was given three charts: one chart based on their own natal data, and two charts derived from natal data of other people. Each subject was asked to identify the chart that most correctly described them. In only 28 of the 83 cases, the subject chose their own chart. This is the exact success rate expected for random chance. The astrologers predicted that the subjects would select their own chart more that 50% of the time. Test #2: 116 subjects completed California Personality Index surveys and provided natal data (date, time and place of birth). One set of natal data and the results of three personality surveys (one of which was for the same person as the natal data) were given to an astrologer who was to interpret the natal data and determine which of the three CPI results belonged to the same subject as the natal data. In only 40 of the 116 cases, the astrologers chose the correct CPI. As with test #1, this is the exact success rate expected for random chance. The astrologers predicted that they would select the correct CPI profiles in more that 50 per cent of the trials. "We are now in a position to argue a surprisingly strong case against natal astrology as practiced by reputable astrologers. Great pains were taken to insure that the experiment was unbiased and to make sure that astrology was given every reasonable chance to succeed. It failed. Despite the fact that we worked with some of the best astrologers in the country, recommended by the advising astrologers for their expertise in astrology and in their ability to use the CPI, despite the fact that every reasonable suggestion made by advising astrologers was worked into the experiment, despite the fact that the astrologers approved the design and predicted 50% as the "minimum" effect they would expect to see, astrology failed to perform at a level better than chance. "I have not yet received a serious scientific challenge to the paper. The newsletter of the American Federation of Astrologers Network published a response in January (1986). I was very disappointed to see that it largely consists of personal attacks. Its few substantive criticisms are attributable to ignorance of the experiment, of the CPI, and of basic scientific methodology." So the astrologers failed their own test. Does this mean they gave up astrology as being useless? Of course not: they are totally closed minded to the possibility that astrology doesn’t work. Of course, in science one test alone doesn’t decide things. That’s why I have summarized below an additional 36 similar types of tests that astrology failed. Compiled personality profiles from biographies of 2000 sports figures, actors, scientists, and writers. Compared these profiles with personality traits associated with the sign of the sun, moon, and ascendant according to eight astrology texts. No correlation was found using either the sidereal or tropical zodiac. Press, N., Michelsen, N.F., Russel, L., Shannon, J., Stark, M.
Examined records of suicides in NYC from 1969 to 1973. Selected all suicides who were born in NYC and for which birth data was available. This resulted in 311 suicide cases. For each of these, a control subject was randomly chosen who was born in the same borough and year. The suicides and matching controls were divided into three groups according to year of suicide. A computer program was used to test 100,000 different astrological factors in each of the 622 birth charts for significance between suicide and control groups. None of the factors consistently correlated with the suicide cases. The above three references examined the correlation between sun sign and over 60 occupations. The results of all three were negative -- no correlation was found between occupation and sun sign. The above 4 references all found no correlation between sun sign and personality traits as measured by standardized psychological tests, mostly the California Personality Inventory (CPI). However, Pellegrini found a slight correlation between the CPI femininity index and season of birth. These two studies found no correlation between sun sign and personality traits measured by the CPI, including the femininity index. Compiled natal charts and results of Minnesota Multiphasic Personality Inventory and the Leary Interpersonal Check List for 196 subjects. Compared 13 personality traits with sun signs, signs and houses of the moon and 8 planets, and with five planetary aspects. No correlations were found. Mayo, J., White, O., Eysenck, H.
These two studies found correlations between astrological factors and the Introversion/Extroversion index of the Eysenck Personality Inventory. Failed to duplicate the correlation found above. Showed that the correlation above could be explained by the fact that some of the subjects knew what the expected results would be for their astrological signs. Jackson, M., Fiebert, M. S.
These three studies found no correlation between astrological factors (sun and planetary) and personality, including the introversion/extroversion index of the Eysenck Personality Inventory. A double blind test of astrologer John McCall was organized at the University of Virginia by Charles Tolvert and Philip Ianna. McCall claimed an 80 percent success rate in choosing the correct natal horoscope for a subject from three false ones. Twenty-eight subjects were chosen according to McCalls requirements (naturally born caucasians). McCall had 7 successes out of 28 trials, exactly the number predicted by chance. The above 2 studies found no correlation between marriage/divorce rate and sun sign combinations in the state of Michigan and the city of Amsterdam respectively. John McGervey Physicist Western Reserve University Found that the sun signs of 6,000 politicians and 10,000 scientists were randomly distributed. Astrological readings were done for a groups of subjects. The content of some of the readings were reversed (changed phrases describing the subject to their opposites). Found no correlation between occupation and the zodiac signs containing Mercury, Venus, Mars, Jupiter, Saturn, and the Moon at the time of birth. Found random distribution of the house containing Saturn for successful individuals, and the house containing Mars for murderers. Found no correlation between occupation, medical problems, height, longevity, and the zodiac signs containing Mercury, Venus, Mars, and Jupiter at the time of birth. Pretty much the same study and results as the previous reference. Additionally, no correlation was found between occupation, medical problems, etc. and angular separation (along the ecliptic) of planet pairs at time of birth. Astrologers prepared horoscopes for subjects correct natal data. Reversed charts were then constructed from the correct charts by retaining the sun sign, but reversing all of the planetary aspects. Half of the subjects were given correct charts, the other half were given reversed charts. There was no correlation between the perceived accuracy of the charts and whether the subject was given a correct or reversed chart. Unpublished word described in Dean, 1987. Horoscopes were prepared for correct natal data and for a birth date 5 years and 6 months before the correct date, with the correct sun sign retained. Thirty subjects were given the correct and incorrect charts. Half of the subjects picked the correct chart, half chose the incorrect chart. McGrew, John H., McFall, Richard M.
A study of 2,000 people, most born within minutes of one another, tracked over several decades. The study looked at more than 100 different characteristics, ranging from IQ to ability in art and sport, from anxiety levels to sociability and occupation - all of which astrologers claim are influenced by heavenly bodies. He found no evidence of the similarities that astrologers would have predicted. The experimenters found no evidence of similarities between the "time twins". "The test conditions could hardly have been more conducive to success... but the results are uniformly negative," the research report said. Dean said that the consistency of the findings weighed heavily against astrology: "It has no acceptable mechanism, its principles are invalid and it has failed hundreds of tests. But no hint of these problems will be found in astrology books which, in effect, are exercises in deception," he said. Dean is ready for a torrent of criticism: "I'm probably the most hated person in astrology because I'm regarded as a turncoat." The research undermined the claims of astrologers, who typically work with birth data far less precise than that used in the study. Dean said: "They sometimes argue that times of birth just a minute apart can make all the difference by altering what they call the 'house cusps'," he said. "But in their work, they are happy to take whatever time they can get from a client." In 1971 the Survey Research Centre of the University of California Berkeley sampled 1000 adults in the bay area getting information on natal signs and lots of attributes claimed by astrology to correspond. For instance, Leos are supposed to have good leadership qualities. An analysis by Ralph Bastedo found no correlation for leadership, political stand, intelligence, belief in astrology, musical ability, artistic ability, confidence, creativity, occupation, religion, ability to make friends, to organize or to feel deeply. This showed that these tendencies do not differ between signs, so natal signs cannot be used to predict personality traits. In 1979 Michel Gauquelin put an advertisement in Ici-Paris offering a free horoscope. Recipients were asked to reply saying how accurate they and their friends found the horoscope. Of the first 150 replies, 94% percent said it was accurate as did 90% of their friends and family. Unfortunately, they all got the same horoscope, that of Dr. Petiot, a notorious mass murderer. In 1985, Harry Edwards checked all the predictions from Old Moore's Almanack for 1984. These were written by a couple of top astrologers. Of the 200 predictions it was possible to check, less than 5% materialized and practically all of those could have been based solely on probability, prior knowledge or astute speculation. Astrologers are no better than pastry cooks, taxi drivers or any of us at predicting. Finally, Michel Gauquelin created a long running affair, starting in the late 60s, called the Mars effect with some research that looked very promising for astrology. He collected enormous amounts of data from catalogues of famous people ending up with data for thousands of sporting champions, scientists, actors and writers. He found statistically significant correlations between the birth of sports champions and the position of Mars, between actors and Jupiter, between scientists and Saturn and between journalists and Moon. This shouldn't have been too much encouragement because it was only four planets, only four professions, and only for the top couple of percent of those professions. He found no correlations at all for any planet with random samples. Because of the enormous amount of data it was difficult to reproduce and one attempt at refuting it boiled into a scandal where doubt was cast on the credibility of the refuters. Eventually, a French group, with Gauquelin's cooperation, set up another test of over a thousand sports champions and found a negative result. Gauquelin then argued that some of the champions weren't champions at all and that several other champions had been missed and should have been included. Needless to say these changes produced a positive result but are clearly post-hoc data manipulation introducing bias. Since none of these tests are positive for a random sample of people it depended exclusively on how you define champion. Gauquelin wasn't cheating or insincere but he was giving himself permission to select his data by focusing on champions and it was just too much work to find nothing. Fichten, Catherine S. Sunerton, Betty. We investigated the relationship between date of birth and individual differences in personality and intelligence in two large samples. The first sample consisted of 4000+ middle-aged male subjects from the Vietnam Experience Study; personality was measured by the MMPI items converted to EPQ (scales) and a large battery of cognitive tests were factored to derive general intelligence, g. The second sample consisted of 11,000+ young adults from the National Longitudinal Study of Youth from 1979. g was extracted from the ten subtests of the Armed Services Vocational Aptitude Battery. In no cases did date of birth relate to individual differences in personality or general intelligence. A further goal was to test Eysenck’s notion of possible relationships between date of birth and the popular Sun Signs in astrology. No support could be found for such associations. We conclude that the present large-scale study provides no evidence for the existence of relevant relationships between date of birth and individual differences in personality and general intelligence.